Hydrostatic water level sensor for a.o. wastewater pump control. Water levels from 0 to 2000 mm can be set for ideal pump activation. Dowload the Efcon® Water Level Sensor Datasheet (PDF) to discuss it with your colleagues via e-mail or a printed version. 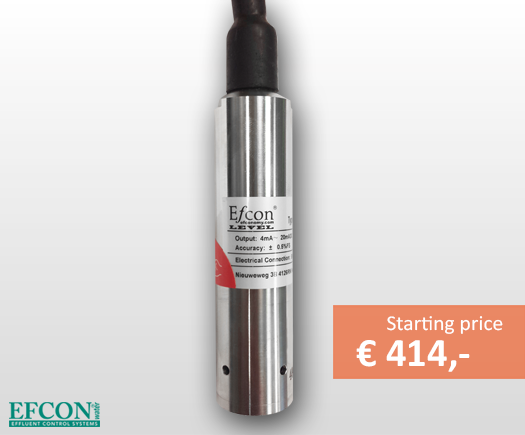 A standard Efcon® water level sensor start at € 414,-. Obviously there is a range of options possible. Please contact us for distribution agreements. Zero thermal drift ± 0.025% FS/°C max. Our water level sensors are often sold in combination with submersible wastewater pumps and pits. 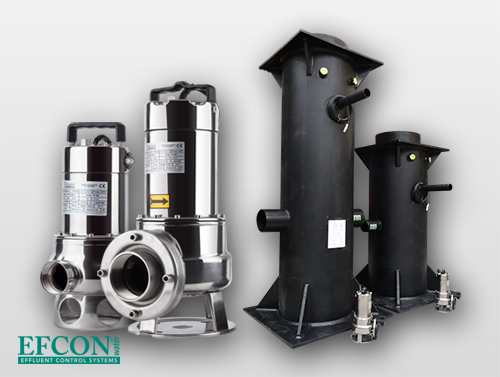 Learn more about these products on the Wastewater Pumps and Pits Page or dowload the Efcon® Wastewater Pumps Datasheet (PDF) to discuss it with your colleagues via e-mail or a printed version.